The term Rust Belt hints at some of the pervasive problems of our great region. Here, we don’t need to be reminded of the need for innovative solutions to inner city foreclosure, neighborhood vacancy and blight, homelessness, unemployment, the achievement gap in education, fresh water contamination, health disparities, and much more. And yet, despite widespread knowledge of the complexity of these challenges, many of us—including funders, social enterprises, governments and non-profits—continue to seek solutions in individual programs or organizations. It took much more than a single or even a few organizations to create these problems, and it’s going to take more to solve them. Scaling up single, albeit innovative, programs and replicating them won’t be enough. Neither will short-term public-private partnerships or collaborations. What we need is something more powerful, adaptive, and sustained. 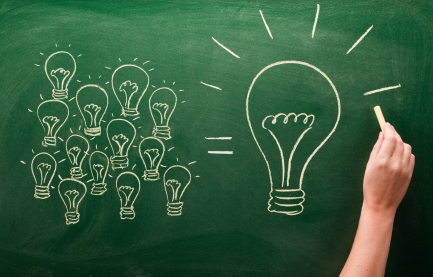 Collective Impact is a meme that began spreading with an article by John Kania and Mark Kramer in the Winter 2011 issue of the Stanford Social Innovation Review. David Bornstein covered the topic shortly after in several New York Times articles. It is a method through which a group of key players from different sectors commit to a common agenda in order to solve a specific social problem. But it is no ordinary collaboration. The Conservation Alliance for Seafood Solutions, which connects 16 conservation organizations in the U.S. and Canada to build a sustainable seafood industry. The Urban Lumberjacks are deconstructing houses and using the materials to build greenhouses. The Central Community Cooperative is especially interesting to me because of its connection to Cuyahoga Community College’s Metropolitan Campus (Tri-C Metro) and Dr. Michael Scope, who also started the Collaborative Campus. The Collaborative Campus Project is an effort to build upon the strengths of the area surrounding Tri-C Metro, making it a safer, more prosperous and sustainable community for all. Tri-C’s efforts to reach out to their surrounding community are truly inspiring and I’m looking forward to seeing how these new projects are implemented, creating results for the neighborhoods within the Campus District. Click here to watch some more of Brad Masi’s videos! What is better than a “Top Ten” or a “Year in Review” list? The Notable Nine, of course. A whiz-bang combination of both, and yet unique in number, the Notable Nine have managed to multiple-handedly change the game in Northeast Ohio. 9. Sustainable Cleveland 2019 Action and Resources Guide: In the second year of its decade-long endeavor, this mayor-led initiative has published a report on how to move forward. 8. 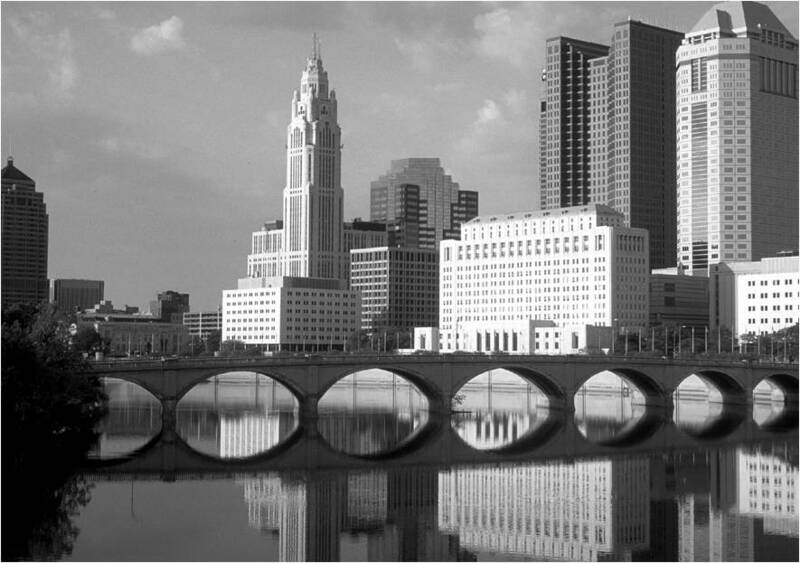 The Restoring Prosperity Report: A collaborative effort between the Greater Ohio Policy Center and the Brookings Institute, this report offers policy recommendations for improving Ohio’s long-term prosperity. 7. The Northeast Ohio Green Map: You can add sustainable organizations, initiatives and infrastructure to it too! 6. 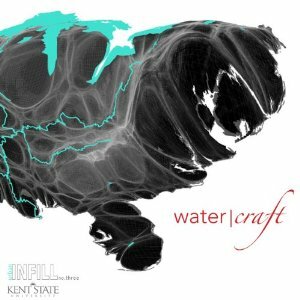 Water|Craft Urban-Infill Vol. 3: This book by the Cleveland Urban Design Collaborative’s PopUp City is jam-packed with ideas on regional water issues and new urban design approaches to tackle them. 5. NEORSD Project Clean Lake: No one likes Combined Sewer Overflows (CSOs), including the US EPA. CSOs allow untreated sewage to go into our otherwise beautiful watershed and Great Lake. The NEORSD is now going to do something about it. 4. Trust for Public Land: Taking the reigns for completing the Towpath Trail and connecting it to Lake Erie, the Trust for Public Land is making it possible to build a greenway through downtown Cleveland. 3. 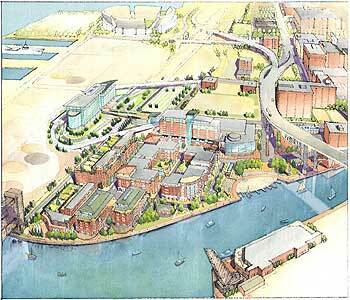 Flats East Bank Loan Guarantee from HUD: The redevelopment of the Flats East Bank is perhaps not so far off after all. 2. Reimagining Greater Cleveland: The Cleveland Botanical Garden is using the $167,000 grant they received from the Great Lakes Protection Fund to help transform vacant land in Northeast Ohio into ‘green’ infrastructure. 1. Northeast Ohio Sustainable Communities Regional Planning Grant and the Regional Prosperity Initiative: There’s nothing quite like getting federal dollars for sustainable community building in Northeast Ohio! This summer, I’m working with GreenCityBlueLake to develop the Northeast Ohio Green Map. This is an open-sourced asset map (read: inventory of our communities’ strengths) of all the sustainability organizations, initiatives and infrastructure in Northeast Ohio, and we need your knowledge and participation in order to make this map the rich community tool that it has the potential to become. Join us for the launch of the Northeast Ohio Green Map! Join us for this Mapping Party to celebrate the launch of the Northeast Ohio Green Map. The Treehouse will supply the beer, we’ll supply the food, and you supply the knowledge of our communities’ assets and opportunities! Bring your laptop and we’ll start mapping Northeast Ohio’s sustainability organizations, initiatives, and infrastructure together. Asset mapping could help organizations and individuals of all kinds—including non-profit, for-profit, governmental, academic and public—to find one another, connect and collaborate around regional sustainability. Eleven months ago, over seven hundred people from diverse sectors and industries came together for three days to talk about making Cleveland a more environmentally, socially, and economically sustainable city over the course of the next ten years. Those three days were named the Sustainable Cleveland 2019 Summit. During the summit, participants divided into over twenty-one working groups in which they would address vacant land, transportation, local food systems, education, healthcare, renewable energy, business innovation and much more. One of those working groups came to be known as the Collaborative Campus. Although almost a year has passed since the original summit, many groups have struggled to find the resources necessary to move toward immediate action. The Collaborative Campus Project, however, is underway. The Collaborative Campus Project is a partnership between Cuyahoga Community College (Tri-C), Cleveland State University (CSU), Cleveland Institute of Art (CIA), and Cleveland Metropolitan School District (CMSD) to link the pursuit of “world class sustainability education” to the context of a sustainable neighborhood. They came to the realization that healthy neighborhoods strengthen institutions as much as institutions strengthen their surrounding communities. If you haven’t yet read the Restoring Prosperity Report produced by the Greater Ohio Policy Center and the Brookings Institution Metropolitan Policy Program, I highly recommend that you do. It provides, based on a massive community engagement campaign that I was lucky enough to take part in, policy recommendations to transform Ohio’s economy in a way that is both environmentally and socially just. The short-, medium-, and long-term recommendations cover innovation, human capital, infrastructure, quality places, educational spending, local government collaboration, state programs and investments, and competition for Federal funding. But how do we go from holding a report of quality policy recommendations to catalyzing implementation? We might learn from what Pennsylvania has accomplished since the publishing of their “Back to Prosperity” Report (also done in collaboration with Brookings). At the recent Rebuilding the Cities that Built America conference in Youngstown, Joanne Denworth of Gov. Edward Rendell’s Office of Policy in Pennsylvania noted that although they have made great progress in PA since the publishing of their smart growth report, there were also set-backs. Of them, she recalled the push-back from rural communities that made policy implementation on behalf of city improvement difficult. She also informed conference-goers that PA now faces the impending environmental degradation associated with the exploration of oil sands, which could set them back significantly from environmental progress made since the height of industry in the area. These are not easy issues to solve. But by exploring them and thinking through potential solutions, we may come closer to successful implementation of necessary policies in order to make our region more socially, environmentally, and economically sustainable. Today and tomorrow Baldwin-Wallace College is hosting their annual Sustainability Symposium on Climate & Carbon. If you missed the speaker this morning (Senator Sherrod Brown), you can still make it to the Keynote tonight at 8pm from Dr. Susan Solomon, a senior scientist with the National Oceanic and Atmospheric Administration’s Earth System Research Laboratory. Solomon was the lead U.S. scientist for the Intergovernmental Panel on Climate Change (IPCC), and was awarded the 1999 National Medal of Science, the highest scientific award bestowed by the United States government. You could say that she’s kind of a big deal. So come hear what she has to say tonight and stick around for the various panels tomorrow. 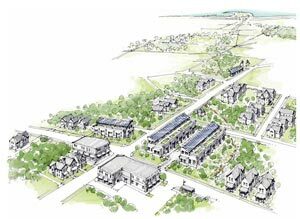 Baldwin-Wallace is a role model of campus sustainability. They received the Northeast Ohio Environmental Award in 2009, and for good reason. It was the first college in Ohio to offer a Bachelor’s degree in sustainability, with three tracks of focused concentration within the major: science, social sciences/humanities and business administration. They also offer a certificate in sustainability for Adult and Continuing Education students. Their Institute for Sustainable Business Practice is a resource center offering consulting services for area businesses, peer-to-peer sharing for business managers, and educational programs that can benefit northeast Ohio organizations and the community. Covering the people, initiatives & strategies that are revitalizing Rust Belt cities. The header photo "A-Museum" was taken by Ted Ferringer and transformed by David Jurca. The photo of a red building and stoplights was taken by Anna Muller. The rest were taken by Marianne Eppig.